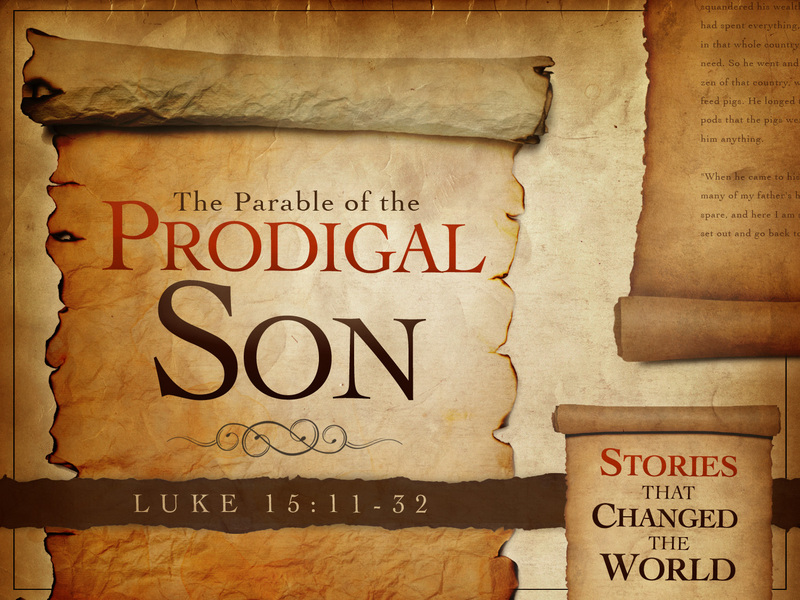 The Parable of The Prodigal Son is probably the most popular, most studied, and most influential of all of Jesus’ parables. But, I have to admit I did not like this parable for most of my Christian life until now. Moreover, I will have to admit that I do have this aversion to things becoming extremely popular in our culture and my maverick streak comes out and makes me run in the opposite direction in order to not follow the crowd. Okay there…..therapy session and confession are now over! I’ve realized that I understood the Parable of The Prodigal Son completely wrong for all my years as a Christian. However, I have noticed some interesting things about this parable that I didn’t recognize before. In Verse Twelve, the younger son asks his father for his share of the inheritance and the father gives it to him without question. Then, the younger son leaves immediately in order to sow his wild oats. Because of the younger son’s request, he has shamed and dishonored his father and the younger son could have been banished from the village forever because his rebellious act. The father in the parable represents God and the fact he would allow himself to be shamed and even dishonored by his offspring reveals that God will honor their choice to either choose or reject him. The fact that God wants to be chosen by us even if we reject him and is willing to risk embarrassment has opened my eyes to how loving God truly is. Furthermore, Verse Twelve divulges that the Father evenly divided his inheritance between his sons and himself. However in Verse Twenty-Nine, the older son complained to his father that he had served him faithfully the entire time and never received even a fatten calf so that he could celebrate with his friends. Well, that’s not exactly true. The oldest son got his share of the inheritance when his father divided it for his younger son. The younger son broke that tradition and the father had to make sure the older son would get his portion as well. The issue for the older son was that he felt the younger son got rewarded for his bad behavior and the father forgave him instantly without even an admonishment. When I have read this parable over the years, I could always identify with the older son and this one of the main reasons I didn’t like the parable. We don’t like to think that someone is getting away with wrong behavior. The husband that divorces his wife in order to a marry younger woman when he becomes successful, the CEO whom embezzles money from the company and gets a severance package in order to get them to leave, the murderer in court receiving a non-guilty verdict, or even a referee that makes the wrong call at the end of a game costing the team a victory. All of these examples are things that seem unfair and should not be rewarded. But, the father in the parable is letting bad behavior off the hook. Well in Verse Twenty and Twenty-One, the father felt compassion and ran towards the younger son as soon as he saw him returning home. Also, the father let the younger son confess how he sinned against him and wants to repent. Most commentaries have written that the father cuts off the younger son from saying the rest of his prepared speech. Actually, I disagree with that analysis. I believe that the Father heard everything he wanted from the younger son. Because of the son’s confession of his sinful behavior, the Father was ready to welcome him home with open arms. God is always ready to welcome us to back him. But, there has to be an acknowledgement of sinful behavior and a willingness to repent. Uh-oh….I just mentioned two of the bad words of our modern culture: sin and repentance. I know I have probably lost some of my non-believing readers at this point and believe it or not I have lost some believing readers as well. I have to acknowledge the “r-word” and the “s-word” in my walk with Christ. It is unavoidable for me, no matter if the culture refuses to mention them or not. And this was the other main reason I didn’t like this parable because the younger son had humility and courage to face his wrongdoing head on and return to the one whom he wronged. I wish I could have done that a lot more in my life. In closing, God discloses himself in the Parable of The Prodigal Son to be far greater than I’ve previously imagined him to be. The parable declares his understanding of human nature is beyond reproach and that fact he is willing to risk it all in order to have a connection with humanity is truly humbling.